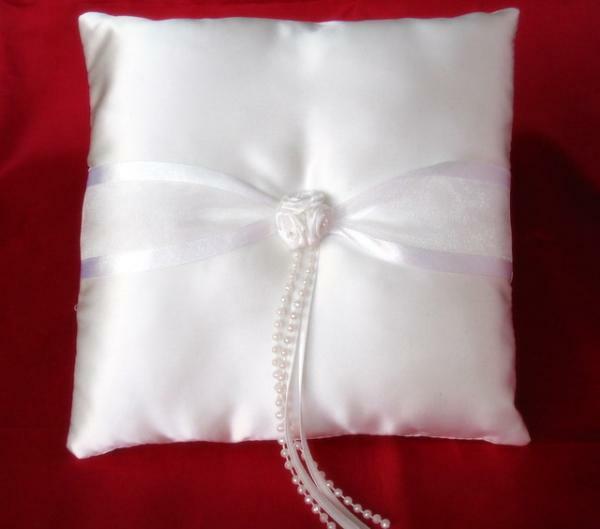 A very pretty square-shaped ring cushion with 3 beautiful roses in the centre as well as string beads and satin ribbons to securely attach the wedding rings. Feedback will be given after the buyer leaves feedback. If you are not happy with the item, please contact me before leaving negative/neutral feedback as this will help me to improve the service offered to you.